Happy Thanksgiving. I am thankful for so many things in my life. I have an amazing husband, family and friends. I am thankful for this blog, for those of you who take the time to read what I write, and then encourage and support me! I do try to be thankful for these things 365 days a year, and not just this one day. 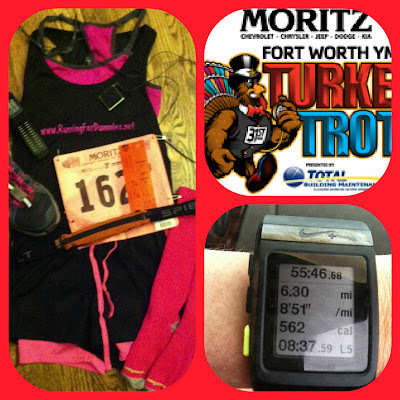 This morning was my annual race in the Fort Worth Turkey Trot 10k. It is an annual tradition for me to burn some preemptive calories before I shovel large amounts of food in my face. I am rounding out the year of running one race a month in 2012. I already ran my November race in the San Antonio Rock 'n Roll Half this month, so this race was just a bonus. It is a fun race that I run every year with my running BFF. I try not to put too much pressure on myself on this one, this is supposed to be fun. We arrived just before 8am and the weather could not have been more cooperative. It was just a tiny bit chilly in my shorts and tank, but I knew as soon I started to sweat, I would warm up. It was a perfect crisp cool morning for a race! The race itself was pretty good, but a bit of a wake up call. While I finished at a very respectable pace, and even faster than the last year Turkey Trot, I realized that I had to work a lot harder for it than I did even just a few months ago. 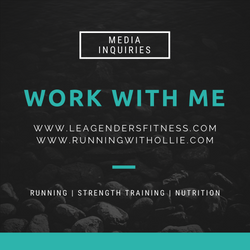 I haven't been strength training or doing intervals like I had been in the summer and there has definitely been a loss of fitness. A few months ago, a 8:45-9:00 minute pace was my comfortable, easy pace. This certainly wasn't easy to maintain today. I just know I need to get back to my regular training to get my fitness back to where it once was. I am not complaining. I am proud of my finish time and I think it is perfectly normal to cycle between different levels of fitness. Every season can't be peak training season, our bodies need the break. I am so thankful for a healthy body, the ability to run, and the ability to push myself. I'm thankful for a healthy heart and strong legs. 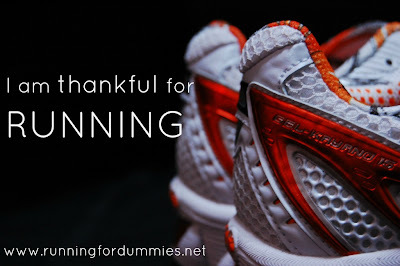 I'm thankful for the motivation and desire to run and work out. I'm thankful for that little voice that encourages me to improve. I'm thankful for my running best friend who shares these experiences and memories with me. I'm crying right now. Instead of ending on a sappy note, I'll tell you a cute story as I approached the finish line. I just passed the six mile marker and I could see the finish line .2 miles in the distance. Just as I was starting to pick up my pace to try to finish strong, this man running next to me offered up some advice. "Pump those arms," he suggested. "Swing them big, use that momentum to go faster." For a moment I was slightly put-off by his unsolicited advice, but then quickly changed my mind-set. He was just trying to help me. He was actually being really nice and encouraging. Who am I that I can't take some words of advice in the last minutes of a race, probably when I needed it the most? "Pick up the pace! Faster! Faster!" he coached. 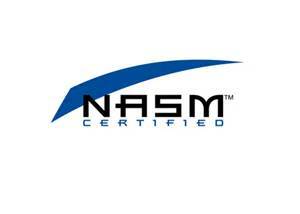 I followed his guidance and crossed the finish line very strong. As he walked passed me at the finish, I gave him a pat on the shoulder and said, "Thank you." Thank you random stranger running coach guy! Next time I need someone like him to run by my side for the whole race. Happy Thanksgiving Everyone! 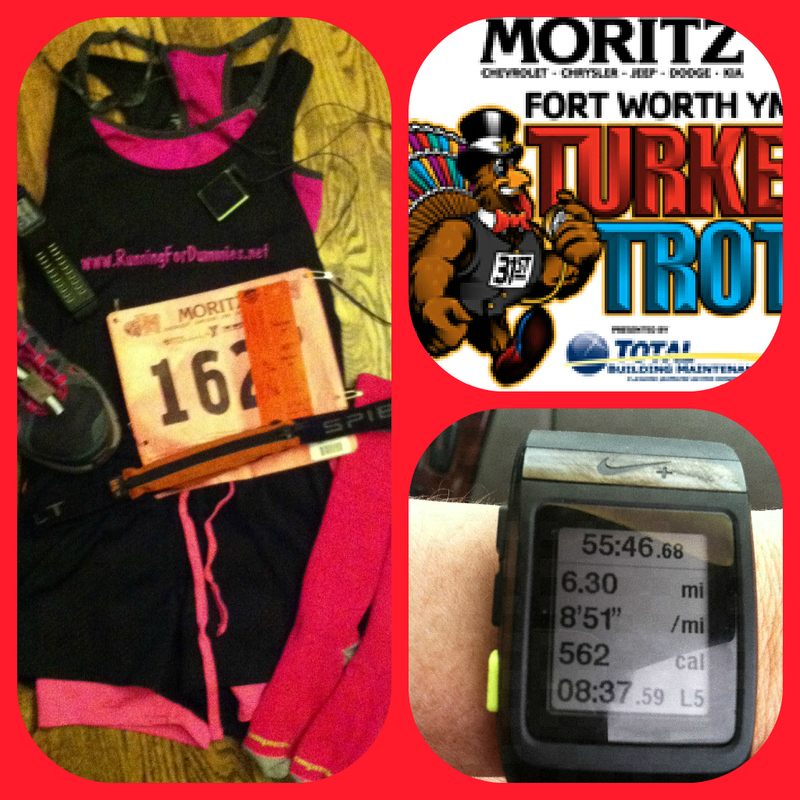 Did you run a Turkey Trot today? 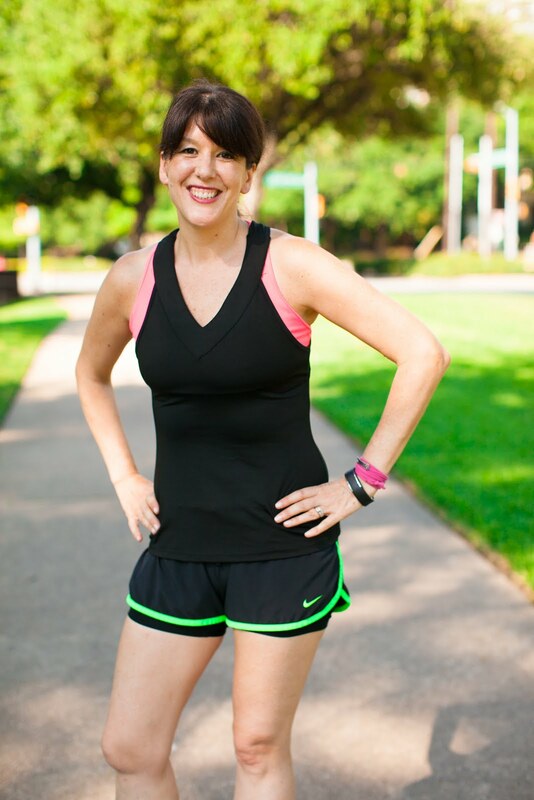 Are you running with me in the Holiday Running Streak? What are you thankful for this year? The kindness of strangers always makes me smile. Pay It Forward. Happy Thanksgiving! Holiday Running Streak, Who's With Me?